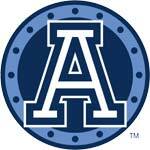 When Argonauts head coach Jim Barker and his staff see something they like, they waste no time in getting it. Immediately following the 2010 CFL Evaluation Camp in Toronto this weekend, the Boatmen set their sights on former Queen’s quarterback Danny Brannagan of Burlington, Ontario and signed him through the 2012 season. In 2009, Brannagan led the Queen’s Gaels to their first Vanier Cup Championship since 1992, earning Vanier Cup MVP and Yates Cup MVP honours along the way. In a prolific 5 season career at Queen’s, Brannagan passed former Argo Tommy Denison as the leading passer in Gaels history as he commanded a potent offence with a 62.14% completion rate in 2009 and led the nation in TD passes in 2008 with 24, earning him OUA First Team All-Star accolades. Acquired: Signed as a free agent with Toronto on March 15, 2010. College: Played for the Gaels from 2005-2009 as QB, becoming Queen’s all-time leading passer… 2009 Vanier Cup MVP… 2009 Yates Cup MVP… 2009 OUA Second Team All-Star… 2008 OUA First Team All-Star… 2008 Second Team All-Canadian… 2005 OUA Rookie of the Year… 2009 Started in 7 games, throwing for 2580 yards, 15 TD and 7 INT (62.14%)… Led Queen’s to 1st Vanier Cup victory since 1992, throwing for 286 yards and 3 TDs as Vanier Cup MVP… 2008 Started in 8 games, passing for 2407 yards, 24 TDs and 10 INT (56.47%) as he was named a CIS All-Canadian (second team) and led the nation in touchdown passes… ranked third in Canada in passing yards… 2007 Started 8 games for 2123 yards, 15 TD and 6 INT (51.61%) finishing the year third in the conference in passing yards…his touchdowns to interception ratio was third best in the OUA… He played for the East in the East/West Bowl in Hamilton… 2006 Started 8 games for 1744 passing yards, 11 TD and 11 INT (48.8%) finishing the season as the third ranked pivot in the conference in passing yards and was ranked in the top ten in the country at his position last season throwing 11 touchdowns… 2005 Played in 8 games, passing for 1860 yards, 12 TD and 10 INT (55.02%) as OUA Rookie of the Year… Dressed for eight games, starting the final seven… Against Laurier, in his first CIS game, Danny came off the bench in the fourth quarter, completing 10 of 16 attempts for 110 yards… He earned the starting job the following week against York, passing for 341 yards. Personal: Danny was born in Ottawa, Ontario and is a native of Burlington, Ontario where he attended Assumption Secondary School. The Bachelor of Commerce graduate was an accounting major in college. Danny comes from an athletic family. His father Dan played football and was a wrestler at Windsor, his mom Leslie was a swimmer at Waterloo and his older sister Brie, who is currently in second year at Queen’s Law School, was a swimmer at McGill. In his spare time, Danny enjoys training, hanging out with his friends, and playing cards and video games. Shopping: Longchamp to Open First Canadian Location at Yorkdale Shopping Centre!